Everyone that has been out in the country hunting, in a huge lake fishing, or in a cabin on the forest enjoying a week off, knows their is nothing worse than getting lost in the woods. Don’t underestimate the power of new generation watches. Nowadays outdoor watches are equipped with great features and tools as GPS, barometer, altimeter, sunset and sunrise alarms. Better yet, they are waterproof and made of stainless steel, which makes it extremely water resistant. If that isn’t enough, they have great designs that will complete your daily basis style. When shopping for a watch, you need resistance and durability; secondly, it has to be reliable; and third, you need a comfortable watch, that won’t get on the way of your adventures. Lots of requirements, right? Luckily for us, Suunto launched a line of watches taking all these aspects into account. Let us tell you about our favorite models of the Suunto Traverse Alpha watches. Hydro Flask Alternative: Are The Knock Offs Better? Hydro Flasks are incredible right? But they’re so damn expensive. Well, what if you could get basically the exact same product but for a fraction of the price? There are different brands that have made some other really great insulating flasks but they’re often overlooked. So how to choose the best Hydro Flask alternative? I’ve spent the last week researching everything there is to know about cheap alternatives that still work just as well and are just as reliable. Camping is a much better experience in suitable conditions, but you cannot always predict the weather. Summer camping trips are preferable for most of us, but no one wants to get stuck inside an unbearably toasty tent after an unusually hot day. That is why having a tent fan while out camping is essential to your camping experience. Just because you are outdoors, it does not mean that you will access adequate cooling naturally, and there are several more reasons why you need a camping fan. If anything, we all need that cooling effect when turning in for the night. Let us get right into it and figure out which tent fan is worth adding to your camping gear collection. 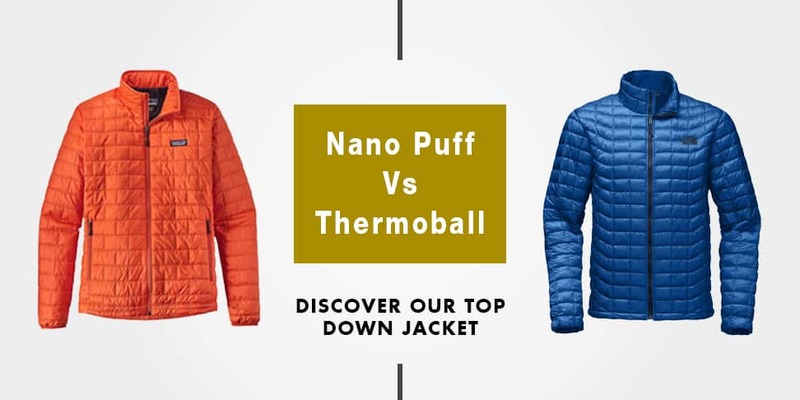 Nano Puff Vs Thermoball: Which Won The Battle? Two of the leading outdoor apparel brands The North Face (TNF) and Patagonia offer selections of quality and reliable down jackets. Naturally, each brand has a loyal fanbase, but we decided to put their most popular jackets against the other. We put TNF’s Thermoball and Patagonia’s Nano Puff on the spotlight to figure out which one is worth your money. Both stand out as excellent jackets in their merit, being well-made, providing a diverse selection of options and offered at reasonable prices. They also both have hundreds of positive consumer reviews, which does not make it any easier to choose one over the other. With a bulk of the groundwork done, this review should give you more insight on how the Thermoball and Nano Puff jackets hold up against each other. YETI used to be a cooler brand that surpassed all the others on the market. They are the first that came out with their bear-proof, all-proof ice chests that were meant to survive anything that you threw at it. They were incredibly successful at what they did as well. However, because of this many competitors sprouted, one of the main competitors being RTIC. In fact, they pretty much stole the design of YETI’s coolers, and as the result of a lawsuit, had to change all of their designs. Albeit the designs to this day look incredibly similar to their competition. As this article will show you, a lot of the same things that YETI uses, such as handles and insulation, are also incredibly similar in the other. Most of these come with sturdy handle that you can simply pull behind yourself, unlike the flimsy stuff you buy from the dollar store. These bad boys are built to last and endure the rugged outdoors. To help you find the best wheeled coolers, we’ve come up with a short list and of our top picks. When it comes to having some warm summer fun in the sun, one of the things that you may be forgetting is proper footwear. While an average pair of tennis shoes will work for most activities, sometimes, you may just want to let your feet breath. One of the best ways to do that is by getting a pair of sandals. But which one to get? When you are getting a pair for yourself or a friend, the last thing that you want is to get a cheap or uncomfortable pair. You are going to be wearing these for many hours, so finding one that is well known for their quality is essential. So what are some of the great brands on the market that you can buy for a more relaxing summer? Getting a digital camera is a joy for many people. Whether you are buying one for professional reasons, or as a hobby, for home use or travel, it is good to make sure that you do ample research to know what you are buying. This is especially important as a digital camera can cost as much as thousands of dollars, making this no low-cost investment. Some are waterproof or resistant, while others are not, and this can cause serious issues when it comes to traveling with it. So definitely buy one that suits your lifestyle best. What is Atmos and Aether? Made by Osprey they’re two highly prestigious types of backpack, that are arguably the best you can buy for long distance treks and expeditions. They aren’t cheap bags, but all the features they have, their comfort and their durability are getting them a lot of attention and praise in the hiking world. Well, that’s hard to say and is highly dependent on your personal preference. However, some do have some features that others don’t and of course, size and price vary. So you can pick the best one for you wants and needs I’ve done a rundown of the six top packs in both series.